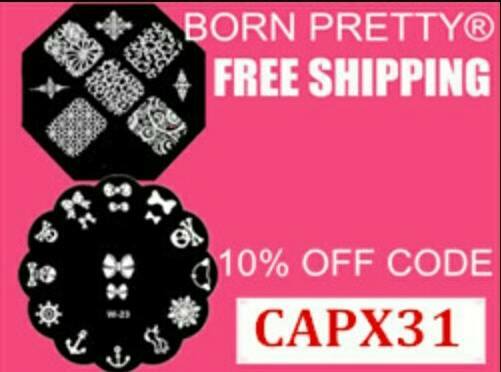 So excited to bring you another review of BornPrettyStore products! I have been so lucky to be able to collaborate with them now for a third time and I have to say the products get better and better. I’ve decided to divide this review in three parts, this is dedicated to the decals. There sincerely isn’t much to say about them other than the fact that they are very easy to work with and perfect for a quick yet beautiful touch to your manicure. 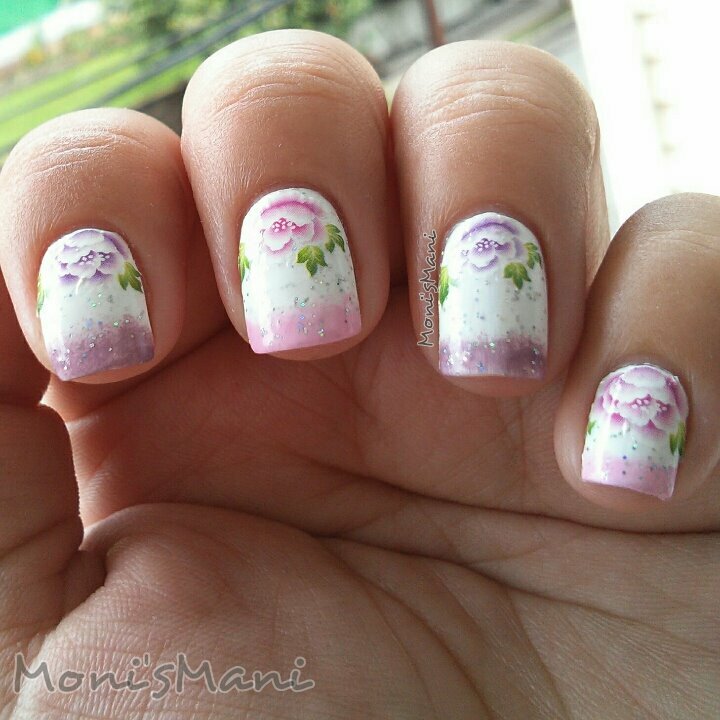 In this occasion I chose flower decals (G064), not a big surprise seeing how I love flower manis. 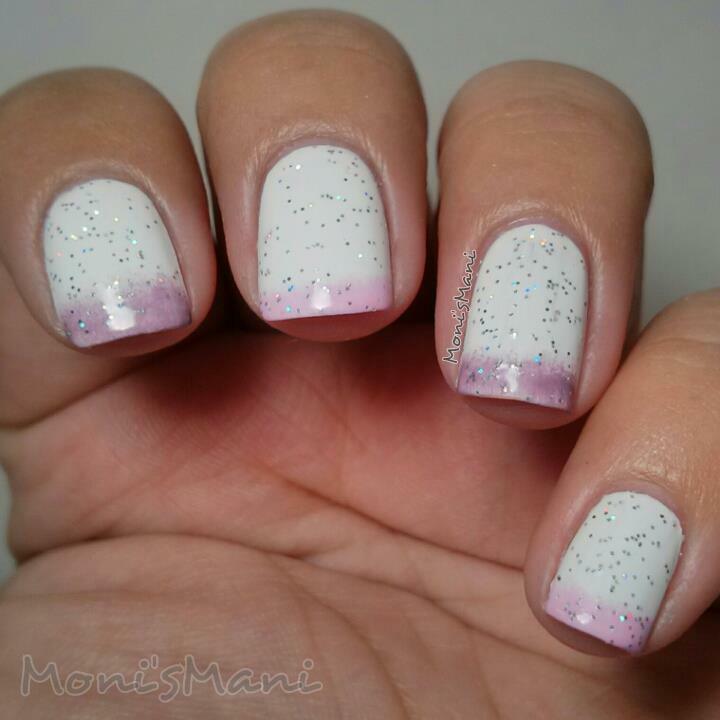 *For this mani I did a simple white base using OPI’s Alpine Snow (2 coats), Parrot Polish’ Aurora (holo glitter I’m in love with) , Essie’s Warm and Toasty Turtleneck (purple) and French Affair (pink) to do sponged frenchies and the final touch are the decals.. lovely and romantic mani. Please DO NOT FORGET to use our 10% code CAPX31 if you decide to pick these babies up! G064 they are def worth it! You do!! Everything is so cheap and they have a lot of quality stuff! I think these plates are perfect for a beginner who doesn’t want to spend on a set yet still wants pretty designs!